Reliance Jio’s offer is available on MyJio app till September 30. 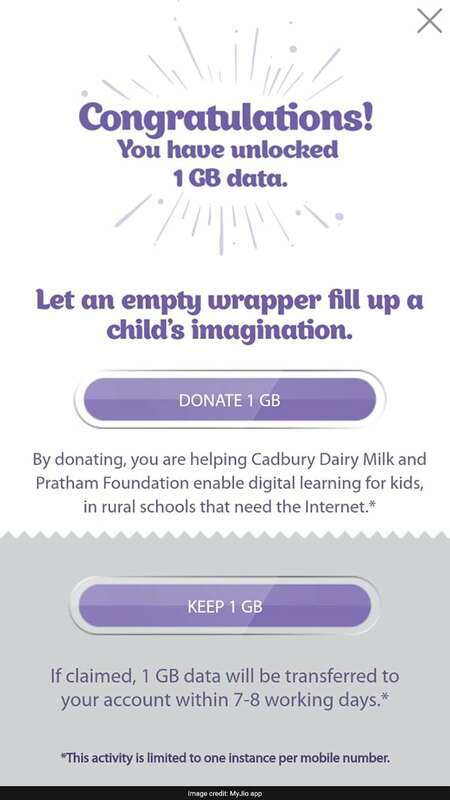 Mukesh Ambani-owned Reliance Jio is offering 1GB of free additional 4G data to its subscribers on scanning a barcode from Dairy Milk chocolate wrapper. The offer is available on MyJio app till September 30. Jio’s all-new free data offer is applicable on Cadbury dairy milk chocolates worth Rs 5, Rs 10, Rs 20, Rs 40 and Rs 100. The offer is also available on Cadbury dairy milk crackle worth Rs 40, dairy milk roast almond worth Rs 40, dairy milk fruit and nut worth Rs 40 and Rs 80, dairy milk lickables worth Rs 35. Reliance Jio is offering additional free 1GB data above the existing data plan to eligible customers. 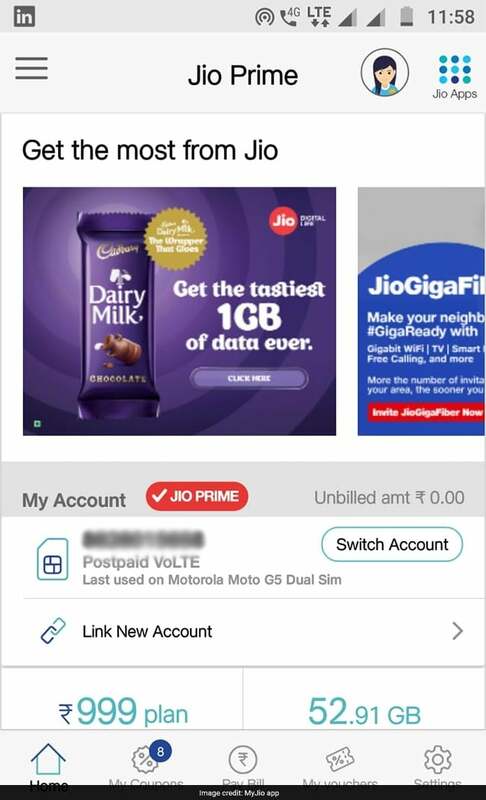 ‘Eligible customer’ means an active subscriber of Reliance Jio who purchases the product and scans the bar code available inside wrapper of Cadbury dairy milk using MyJio app, said the operator on its MyJio app. Subscribers can either avail the data on their account or donate the data to an NGO called Pratham Foundation. The free data will be credited into the MyJio account within seven to eight working days from the date of redemption. Only one empty wrapper is allowed to be redeemed per registered Reliance Jio account, said the operator.